“Emi Kane opened a dresser for choosing a black cover. Then, she lowered the intensity of the oil lamp hanging near the door, until flame failure. Then, quickly, she crouched in a dark corner of the hallway under the blanket. Turning on itself, the guard paused for a moment in surprise. He could see at the other end of the corridor only darkness. He tried to raise the alarm but remembered bitterly the false alarm that one of his disciples had done a few months ago about this and did not suffer the same fate. Then, the guard changed his mind, drew his sword, and went slowly straight ahead. Meanwhile, arriving near the lake of the library Amaterasu, the small fisherman, Jun Wataru, searched a way to cross the lake. 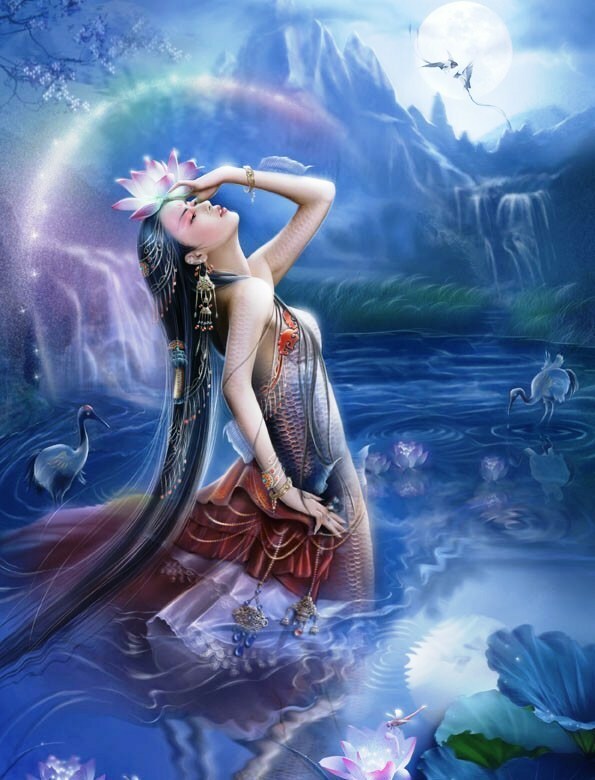 Mrs. Kiwa took off his coat and looked at the water dotted with beautiful water lilies and lotus flowers.